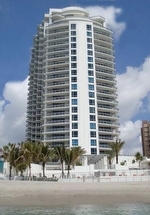 The Diplomat Residences in Fort Lauderdale / Hollywood Beach is a sleek, chic 28-story oceanfront luxury residential condominium tower offering sweeping views of the Atlantic Ocean and Intracoastal Waterway from Hollywood Beach on South Florida's Gold Coast. 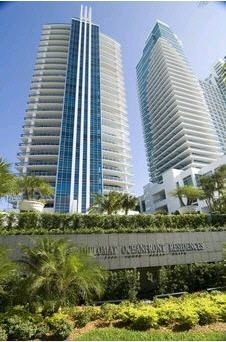 The Diplomat Residence Condominium features just 135 oceanfront condominium residences served by private elevators - including a one-of-a-kind luxury penthouse that covers the entire 28th floor. 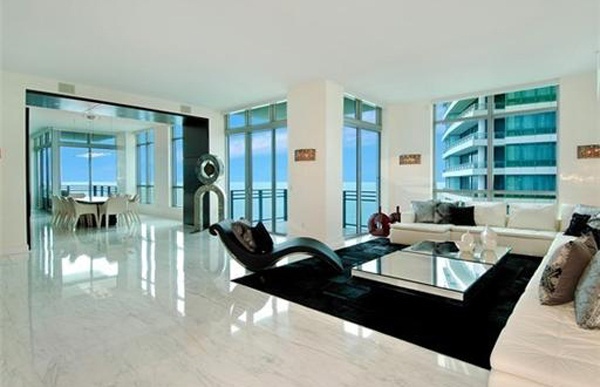 Panoramic views of the Atlantic Ocean or the Intracoastal Waterway are just one of many features of a luxury Diplomat condominium home. 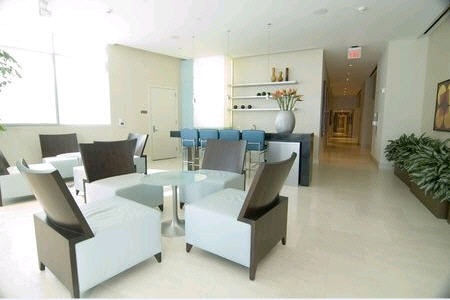 With only six 2 and 3-bedroom residences per floor ranging in size from 2,267 square feet to over 3,200 square feet under air, the Diplomat offers large luxury condominium homes with a level of privacy sought by many. 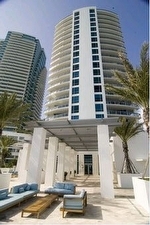 All residences include spacious balconies and terraces for additional living space. 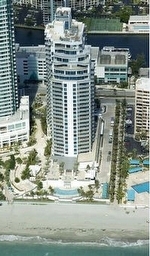 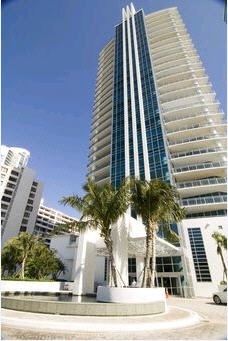 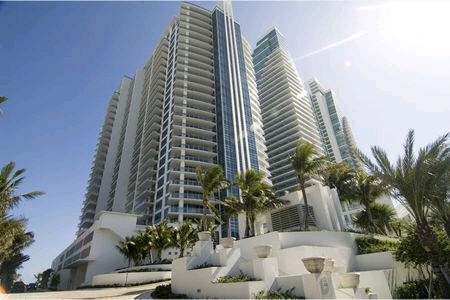 The Diplomat Residences Fort Lauderdale / Hollywood Beach - directly next to the world famous Diplomat Resort & Spa. 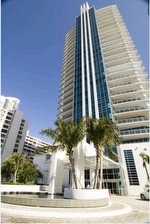 While enjoying the extreme luxuries of their own condominium tower property, owners will have access to select services from the adjacent Diplomat Resort & Spa, including fine and casual dining, a state-of-the-art business center, room service, housekeeping, concierge services and a shuttle service to and from The Diplomat Country Club. 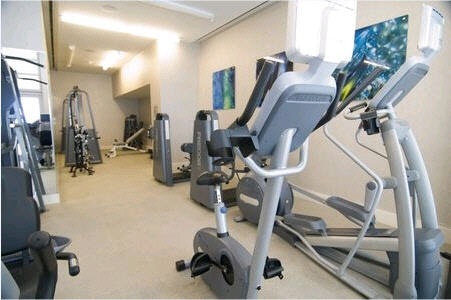 There, owners can avail themselves of all the privileges of membership, including tennis courts, a full-service garden courtyard spa with 20 treatment rooms, an 18-hole Joe Lee-designed golf course, fine dining and another fully equipped state-of-the-art fitness center. 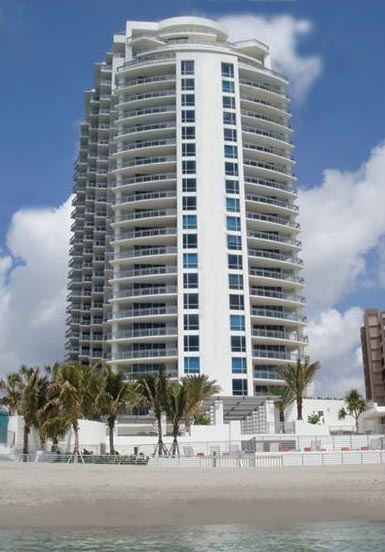 Located in the heart of Hollywood Beach - The Diplomat Residences is one of the newer luxury oceanfront condos to be completed in this highly sought after area. 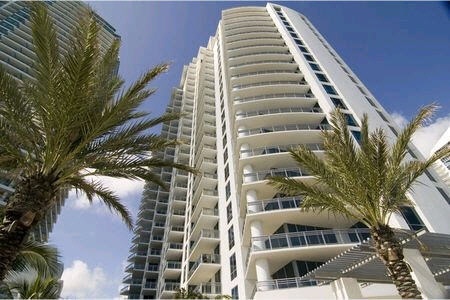 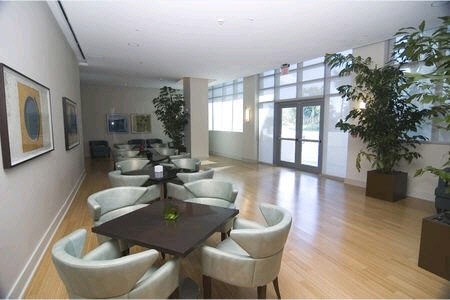 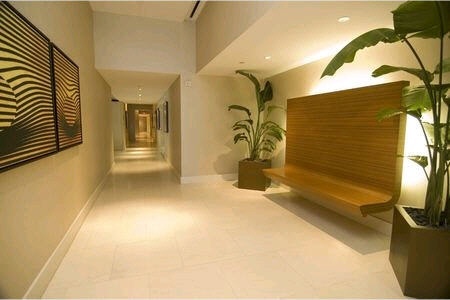 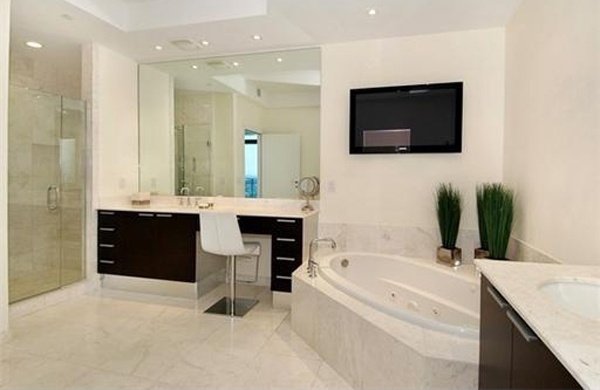 Nearby luxury condominiums include; The Ocean Palms, and Trump Hollywood Beach, all just blocks away. 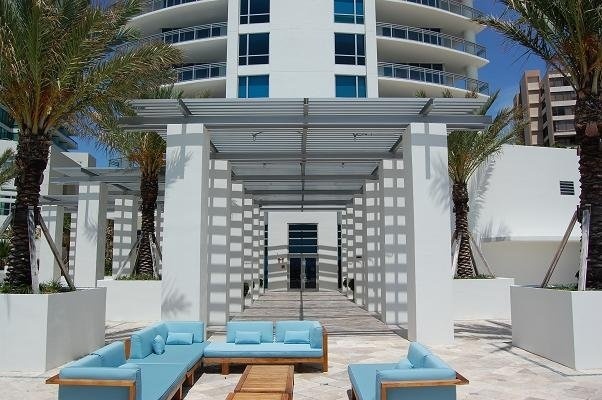 This beachfront area in Broward County is enjoying a resurgance of luxury building while protecting and upgrading the well known boardwalk* and the extra-wide sandy beaches not always found in other areas of South Florida. 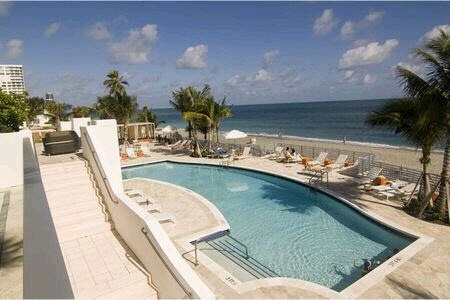 *USA Today recently ranked Hollywood's Boardwalk as Florida's Best Beach Boardwalk. 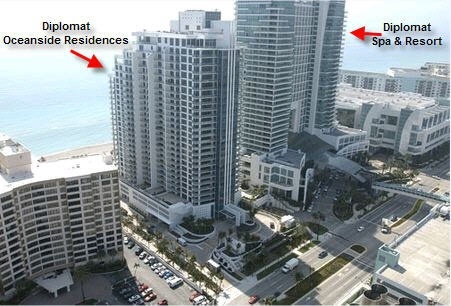 The new Margaritaville Hotel & Resort is currently under construction just up the beach on the boardwalk with anticipated opening in summer of 2015. 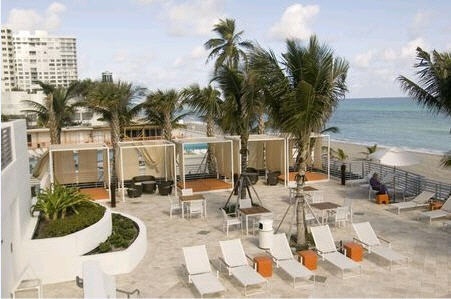 Another upscale and exciting addition bringing dining, nightlife and much more to the NEW Hollywood Beach in South Florida. 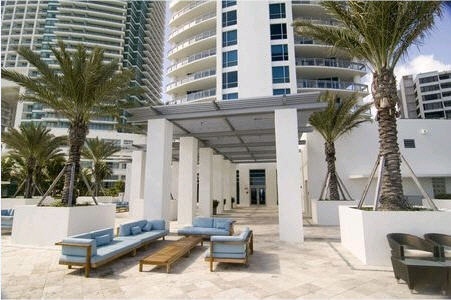 The Fort Lauderdale Diplomat Oceanfront Residences provides owners and their guests with a stellar selection of on-site amenities: club room, an owners theatre, fitness center, swimming pool and spa. 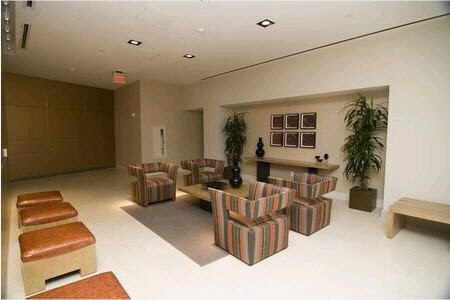 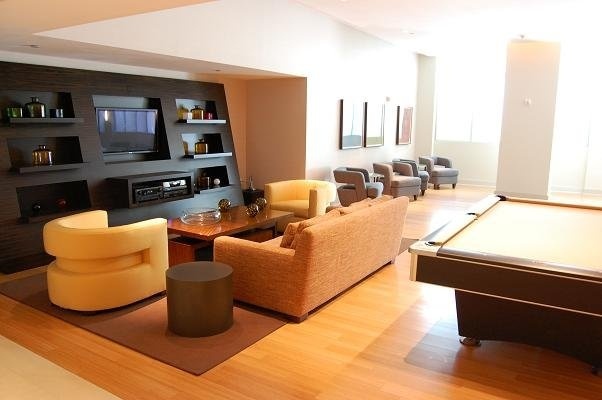 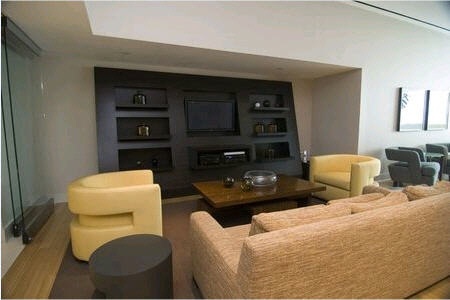 Services will include 24-hour access-control security desk, valet parking, and, of course, full concierge services. 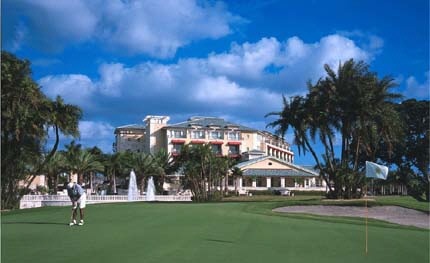 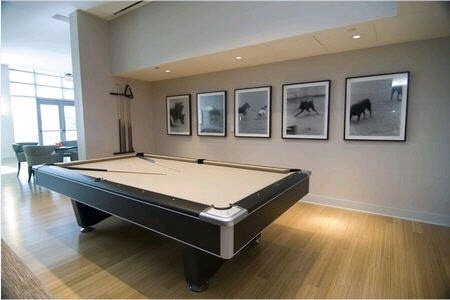 Owners will also receive a special Diplomat Resident Sports Membership at the nearby Diplomat Country Club.